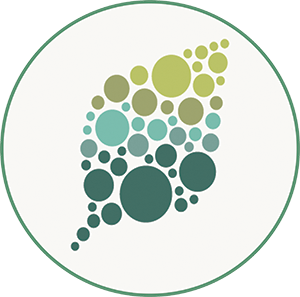 Ethylene is a gaseous plant hormone that affects the growth and development of plants and mediates plant stress responses. 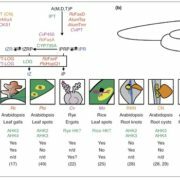 Ethylene is perceived by a family of five receptors in Arabidopsis thaliana including ETHYLENE RESPONSE1 (ETR1) and ETR2. 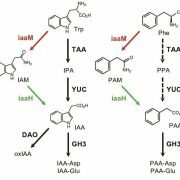 Surprisingly, there are cases where the different ethylene receptor isoforms have contrasting roles. 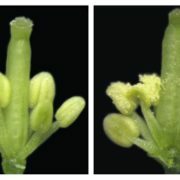 For example, ethylene-stimulated nutational bending of Arabidopsis hypocotyls requires the ETR1 receptor, whereas, the other four receptor isoforms inhibit nutations. 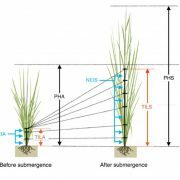 Recently, Bakshi et al. 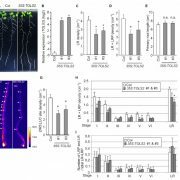 (10.1104/pp.17.01321) reported that ETR1 and ETR2 have contrasting roles in the control of Arabidopsis seed germination in darkness, during NaCl stress., and in response to abscisic acid (ABA). 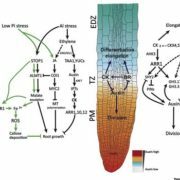 In this study, the authors expand upon these findings by showing that ETR1 and ETR2 have contrasting roles in the control of germination under a variety of inhibitory conditions for seed germination such as treatment with KCl, CuSO4, ZnSO4, and ethanol. 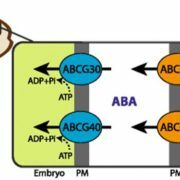 Pharmacological and molecular biology results support a model where ETR1 and ETR2 are indirectly affecting the expression of genes encoding ABA signaling proteins to affect ABA sensitivity. 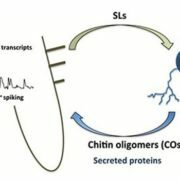 Epistasis analysis demonstrated that these contrasting roles of ETR1 and ETR2 do not require the canonical ethylene signaling pathway. 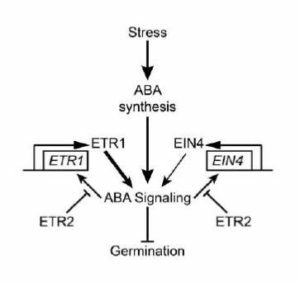 Thus, in the case of germination, the ETR1 and ETR2 receptors are predominantly affecting ABA signaling to alter germination.